Buy OwlIzard a Coffee. 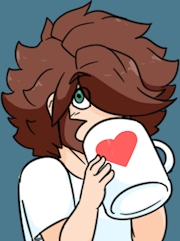 ko-fi.com/owlizard - Ko-fi ❤️ Where creators get paid by fans, with a 'Buy Me a Coffee' button. Hey there, I'm an artist that wants to get all kinds of personal content along side my main export of commission out there for any and all to see. My main art focuses are usually thicc and fantasy type stuffs. I figured instead of a big project or tier oriented type page like patreon I would rather opt for the "hey here's a dollar keep up the good work" type site. Secured Payments. Support goes to OwlIzard's account. Upgrade OwlIzard to a yearly Gold Membership with a one-time payment.